The lustres we use in our products are edible lustres that you would use in cooking. They create a shimmering effect in the water that makes bath-time a visual experience. 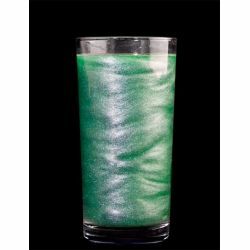 We use green lustres in our Avobath Bath Ballistic for the swirl of green colour.